Gabriel & Dresden feat Betsie Larkin , Armin Van Buuren vs Emma Hewitt, Mike Koglin vs. 7 Skies, Estiva & Cardinal feat. Arielle Maren, Above & Beyond Feat Zoe Johnston and more. 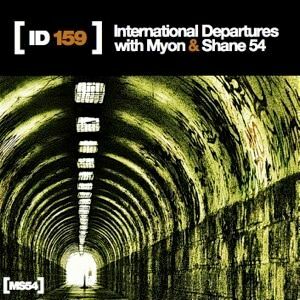 ID159 - Back to the USA this weekend. Def one of the top podcasts I&apos;ve heard this year!!! tight mix! thx for always bringing the party Myon & Shane 54!